Gov. 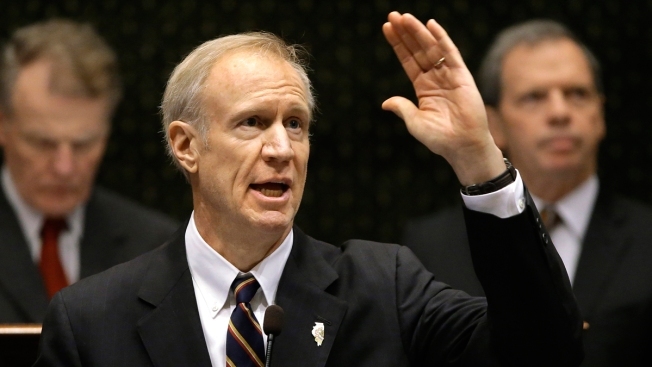 Bruce Rauner has signed legislation authorizing $600 million in emergency funding to keep major Illinois universities operating until fall. The Republican signed the bill Monday after a debate last week over the temporary spending plan in the General Assembly. The package includes $170 million for the Monetary Award Program, a needs-based grant that colleges doled out this past school year without state reimbursement. Rauner and Democrats who control the Legislature have been unable to agree on a plan for the budget year that began July 1. In a statement Monday, the first-term governor said the law doesn't solve the crisis but is "a first step toward compromise." He wants business reforms and union-power curbs while working with Democrats to reduce the deficit.